Are you looking for something to boost your skin and keep your complexion? 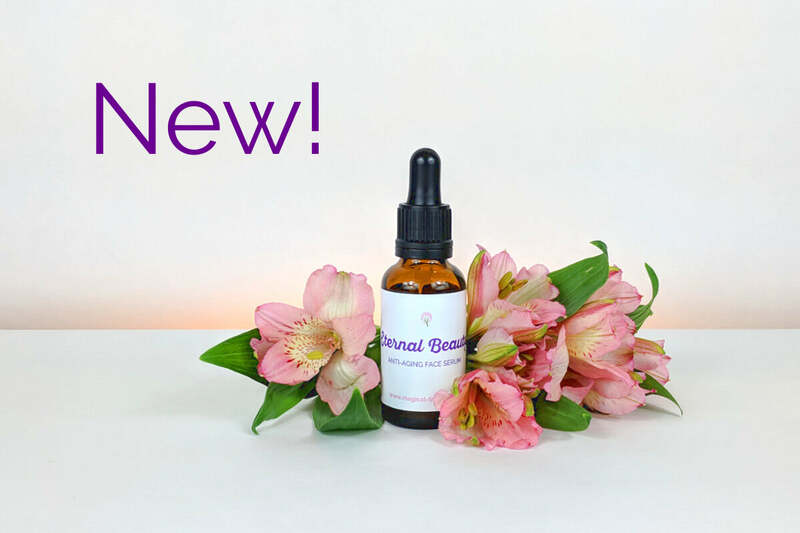 We are delighted to introduce you our latest formulation, Eternal Beauty anti-aging Face Serum. For a long time we were very keen to create a new range of gorgeous skin care products to share the feeling of wholeness and beauty. To make our vision true we searched for the most renowned natural skin care ingredients blended them in many ways again and again until we got the best formula. We worked together with volunteers by testing the different variations of our serum. We’ve listened and researched and did not give up developing the recipe until we’ve got positive feedback from all those who have tried the product. Ageing is fact of life, but why not keep your complexion looking younger for longer? The first arrival of our facial serum range is beneficial for ageing and mature skin, but for all skin types, too. It is a light blend with a slight floral scent to make you feel uplifted. Every bottle of our serum encapsulates the goodness of natural and organic plant oils. We chose the most renowned vegetable and essential oils to create a serum enriched with natural antioxidants to enhance a healthy skin and promote youthful appearance. Enriched with Helychrisum (also known as Everlasting) Essential Oil and Pomegranate Seed Oil this face serum is all about keeping your skin nourished and smooth. Eternal Beauty face serum is easy to apply and absorbs deep within the dermal layers to achieve the best result. Gentle enough for the eye area and effective on the face and neckline. A light massage of the serum into the skin can bring the tranquil atmosphere of mindfulness and wellbeing into your everydays. What else do you need to a radiant beauty which comes both from inside and outside. Serums are life savers, especially for those with dry skin like me. Thanks for the code!